Flu like symptoms can be a common occurrence for people with fibromyalgia. The downside is that they can be much more pronounced than the common ones everyone is used to. There are many theories as to what causes this, but they're commonly one of the early set of symptoms experienced by individuals before being diagnosed. Obviously it's no surprise that joint pain, achy stiff muscles and fatigue pretty much explain this exhausting and unpleasant experience, but many experts believe it's attributed to the key causes of this disease and the aftermath they impose. Even though these symptoms are experienced by many early on, I still go through these episodes 20 years later if I fail to stick with my treatment program. I use these as my compass because my body will tell me when I veer off course and forget to take my supplements. 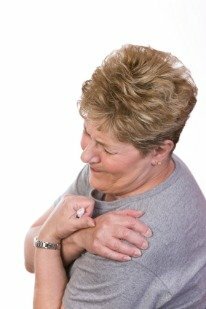 Continous bouts of achy muscles and fatigue can also be linked to other conditions, so it’s very important to visit your doctor so they can eliminate any obvious causes. Since these specialists are medical doctors, they still have the same capacity as any other doctor to order tests or diagnostic procedures unrelated to fibromyalgia if they feel it's still something else causing you're symptoms. There are many treatment programs listed on this site that are helping many people make these symptoms a thing of the past. It may be well worth your time to investigate. They’ve helped me more than I ever could have imagined.